Ali Weinstein '17 had already cultivated a unique approach to conference work by the time she began her "Biology of Living and Dying" course. In addition to completing a traditional research project for each course, she would also write a feature-length screenplay that enabled her to explore course material in a fresh context while building a portfolio to support her pursuit of a screenwriting career. 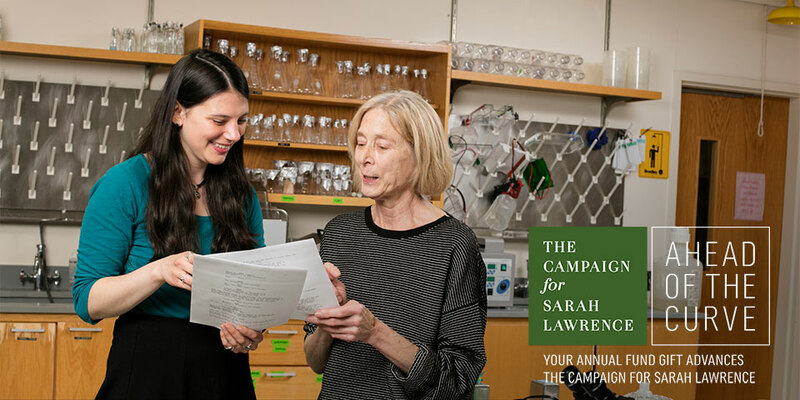 Biology faculty member Leah Olson had worked with performing arts students before and was herself pursuing a new line of inquiry, teaching a course about metabolic processes instead of her usual neurobiology. When Ali shared her unorthodox conference project idea, Leah happily supported it.